FAN MAIL WEDNESDAY #241: From Zeynep in Istanbul, Turkey! This email traveled a long way . . .
Hello my name is Zeynep. 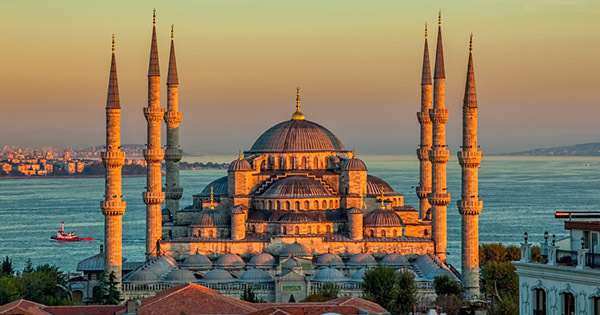 I am writing you from Istanbul – Turkey. This year I am a 5th grader in Hisar Schools and my teacher gave us one of your books to read for a project and I just finished reading your book. First of all,I read “The Case Of The Bicycle Bandit”. When I started reading the book it made me excited immediately because the book starts with dialogue which makes it easy to read. Two pages after I understood what the story will be about. I like that there isn’t so much description in the book however It sometimes makes us hard to understand the characters. For Example, I don’t know so much about Jigsaw, is he a nice boy or naughty boy? How is his relationship with his mother and father? Or where do they live? I looked for these questions answers but I couldn’t find them anywhere. JP COMMENT: I always liked this moment in the book when Mila consoles a distraught Ralphie. He looks around and the outside world reflects his inner emotions: “His eyes followed a bird circling in the sky. It circled once, twice, three times. Then it flew off. 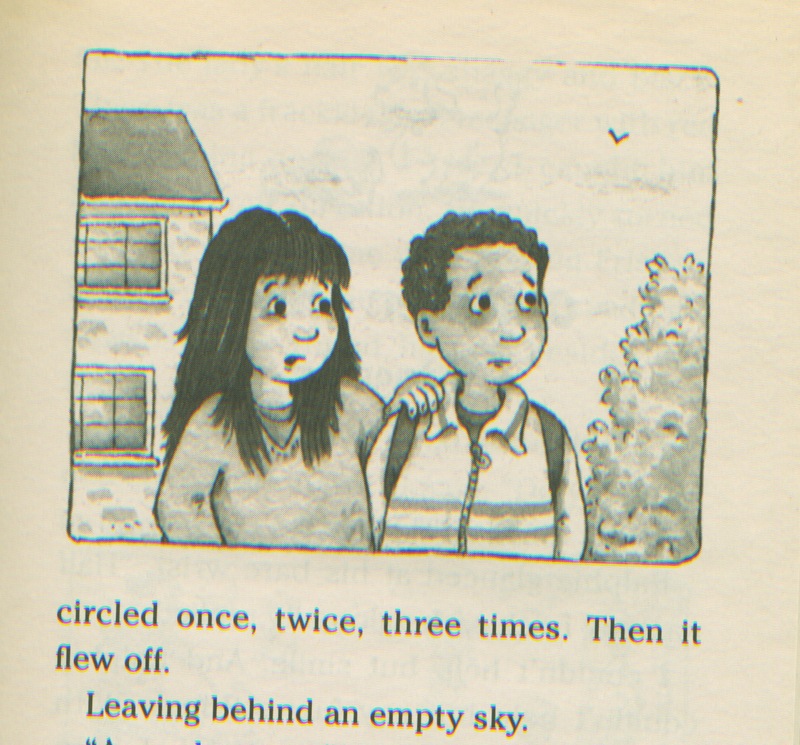 Leaving behind an empty sky.” Lovely illustration by Jamie Smith. Just right. Finally I have to say that when I read that it was Ralph’s brother who stole the bicycle I was surprised! I couldn’t believe it. I think you did a great job by writing this mystery book because I couldn’t guess and solve the puzzle myself while I was reading. I hope that you can continue your series in a successful and fun way. Greetings from Delmar, New York! It’s exciting for me to hear from you, all the way from Istanbul. I’ve never been there. And despite books and movies, I still find it difficult to imagine your world. I wish you could have sent me a picture of your school or family or something/anything. Or your cat! How do you say “meow” in Turkish? It’s amazing that a book can bring us together like this. I’ve been lucky enough to have some of my books translated into other languages — Spanish, German, Korean, Japanese, Greek, Arabic, Indonesian, and more — but it always leaves me in awe. Could there really be a young man in Turkey turning the pages of a book I wrote in 2001? Books are small objects that we read alone, usually in silence, often away from others. But they are also connectors, portals, ways of bringing people together. A shared experience. Pretty cool when you think about. We go off by ourselves to connect with other people, across time and space. 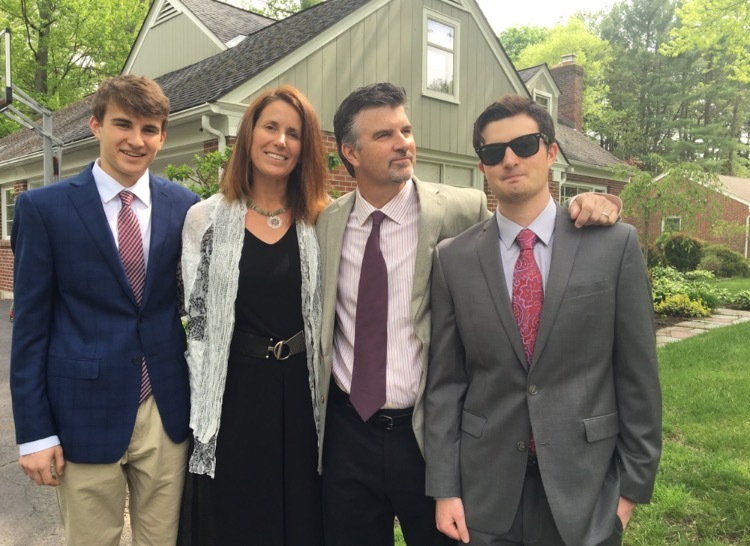 This is my family, minus Maggie, who is in the all-time “Top 5” Best Looking Prellers. 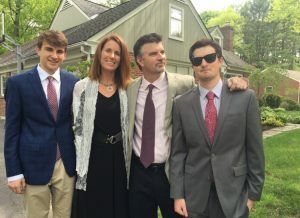 From left: Gavin, Lisa, JP, and Nick. These are not our normal clothes. We are headed to a wedding. And we’re going to dance. Badly. I am married and we have three children. Our oldest, Nick, lives in nearly Albany in an apartment with two friends. He’s 23 years old. My other two kids, Gavin (17) and Maggie (16) live with us. Tonight Gavin has to work as a busboy in a nearby restaurant. 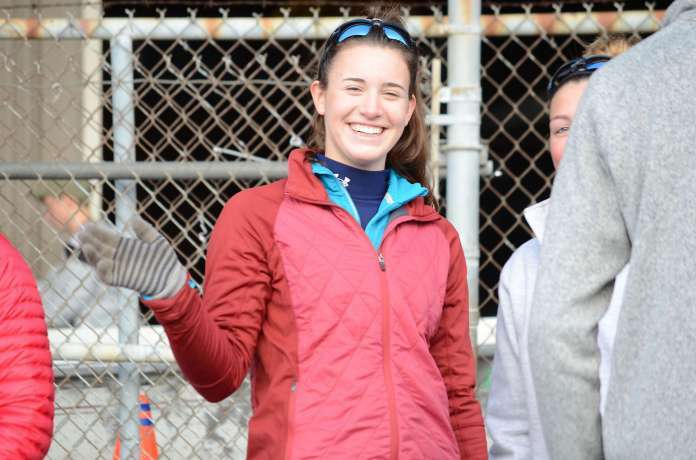 Maggie is at crew practice; she is an athlete who rows on the Hudson River. Very strong! My wife is still at work. I think I might order a pizza pie tonight. But I’ll have to bundle up. Last I looked, it was 19 degrees fahrenheit outside. Brrrr. Thanks again for your note. I tried to give you a little better sense of my world. Feel free to write back if you wish. POSTSCRIPT: I am thrilled to report that this book, long out of print, will be re-released this summer by Macmillan, along with these other Jigsaw Jones titles: The Case of the Smelly Sneaker, The Case of the Mummy Mystery, The Case of the Glow-in-the-Dark Ghost, and the brand new title, The Case from Outer Space.